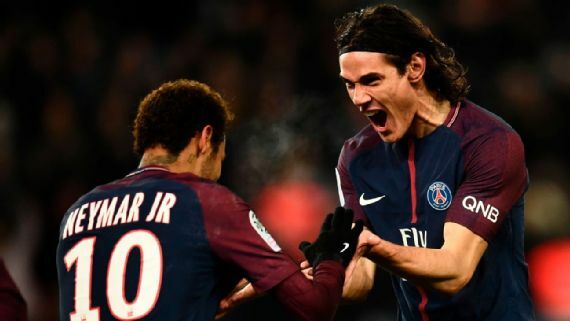 Neymar Jr. and Edinson Cavani scored for Paris Saint-Germain, as they defeated Troyes 2-0 in Ligue 1. PSG missed the chance to take the lead, after Cavani’s first half penalty was saved. However, Neymar opened the scoring with 17 minutes left in the game, firing in a low effort from outside the box. The Brazilian then set up Cavani to doubled their advantage, as they went 10 points clear at the top of the table. Both Lyon, who lost at relegation-battlers Lille, and Monaco, beaten 1-0 away by Nantes, had failed to make up any ground in Wednesday’s earlier kick-offs.